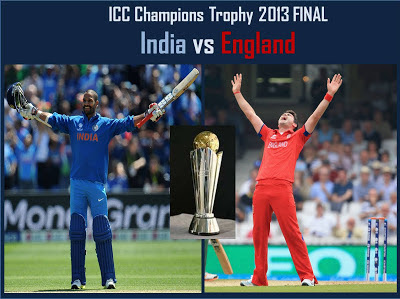 From the beginning of the Champions Trophy only two teams looked like making the final - India and England. 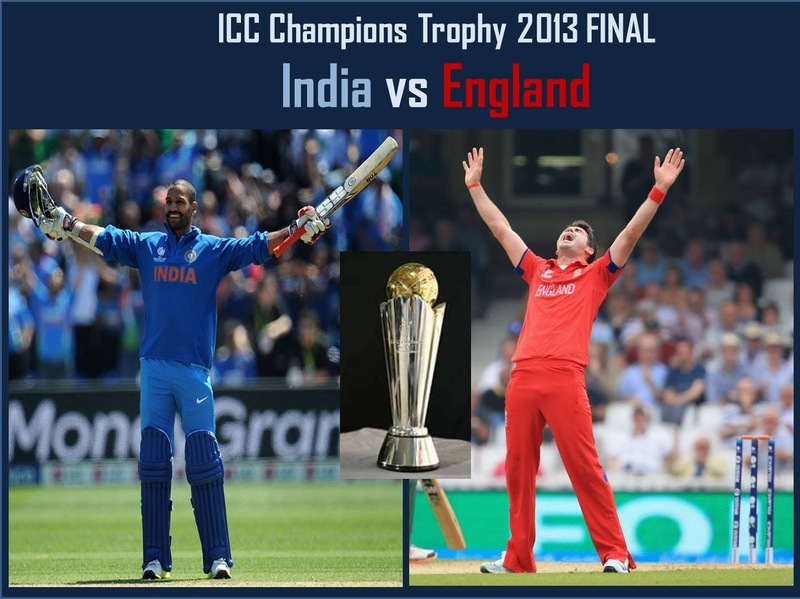 Come tomorrow and it will be these two teams competing for the title of the final edition of the Champions Trophy. It should be an exciting game tomorrow as long as the weather permits it to be. Where will you be watching the game? Wherever you are, do follow the live ball-by-ball and expert commentary on Cricout. England and India have faced each other 86 times in ODIs with India winning 46 times and England 35 times. In ODIs played in England however, England have the upper hand winning 18 out of the 33 ODIs and India winning only 11. Both teams have come up against each other twice before in Champions Trophy matches and India has triumphed on both occasions - winning by 8 wickets in Colombo in 2002 and by 4 wickets in Jaipur in 2006. This is the second time that India and England will be meeting in a final of an ODI tournament. The last time the two teams met in a final was in the Natwest Trophy in 2002 when a Saurav Ganguly led India stunned England in successfully chasing 325 with 3 balls to spare. This is England's second Champions Trophy Final. The last time they reached the final was also when the Champions Trophy was hosted by England and they lost the final to the West Indies in 2004. This is India's third Champions Trophy Final - They lost the final to New Zealand in 2000-01 and then shared the trophy with Sri Lanka in the next edition in 2002-03. This is England's 6th final of an ICC tournament. Out of the 5 previous finals, they have turned out victorious only once winning the ICC World T20 in 2010. This is also the third time that England have reached the final of an ICC tournament at home. England have never won a 50-over ICC title despite playing in 4 such finals. This will be their 5th attempt. This will be India's 7th final of an ICC Tournament. Out of the 6 previous finals, they have been successful in winning 2 ICC World Cup Titles and 1 ICC World T20 Title and in sharing an ICC Champions Trophy Title. India is on the verge of a rare feat - if they win tomorrow they will be the reigning World Cup Champions, U-19 Champions, the number 1 ranked ODI team, and the Champions Trophy winners. Witness what other interesting records, stats, and facts are created as India take on England in the final of the Champions Trophy tomorrow on Cricout.